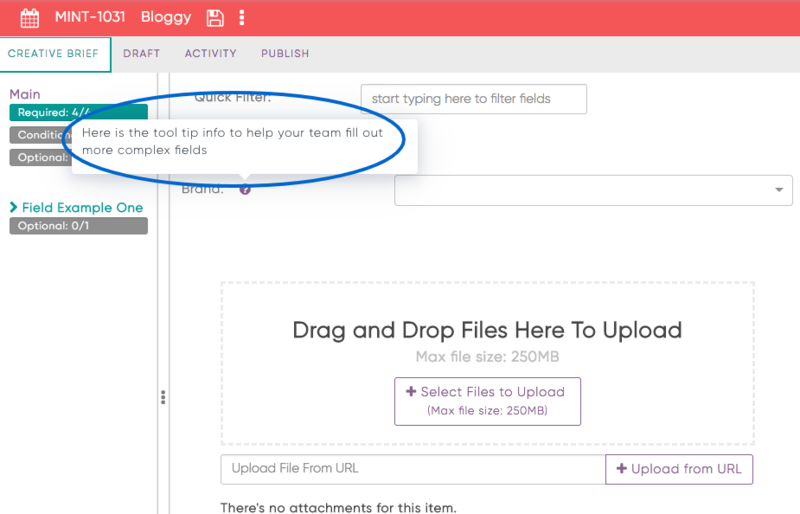 The tool tip icon gives you the ability to add additional information on a field to help your team fill it out accurately. The tool tip icon appears beside the field titles in workflow forms. To learn more about workflow forms, check out our articles on How to Edit Your Workflow Forms and How to Use Workflow Forms. When you are in the forms editor, click into the field. Then add the tool tip content into the Info Field. 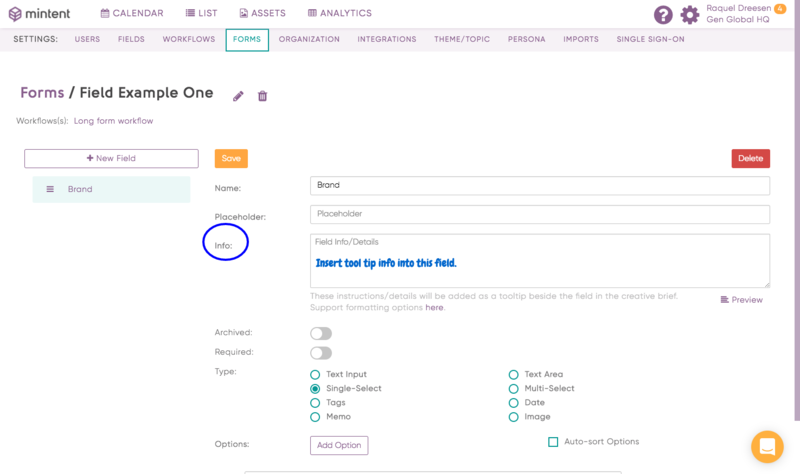 When you choose the specific workflow form when creating an item, you will see the tool tip show up for that field in the workflow form. You can hover over the question mark and the content you put in will appear in a bubble above the field.